Established in 1975, Pneumadyne was developed out of the industry’s need for a better miniature pneumatic valve. Thirty years later, They are known as a leader in the design, development, manufacture and integration of fluid handling devices. Pneumadyne, Inc. is your source for pneumatic control valves, solenoid valves, fittings, manifolds, custom products, tubing and more. 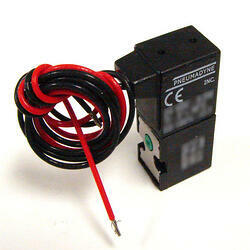 Solenoid valves are an efficient method of converting electrical signals into pneumatic functions. Applying electricity to the solenoid quickly directs air through the valve and into the circuit. Pneumadyne’s direct acting solenoid valves are a cost effective, space saving solution for the use of single or multiple valves. Our versatile offering features a variety of voltage, wattage, connector and mounting options to ease valve selection and installation. Fast response times and high flow rates make our valves suitable for numerous applications. Control valves are a fundamental component of any pneumatic system. Selecting the right directional valves to control system pressure, direction of flow and rate of flow is crucial when designing fluid power circuitry. If the valve is too big for your application, you will be wasting air and money. 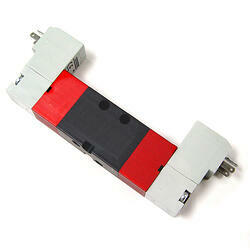 If it’s too small, the actuator will not function properly. Fittings provide the essential link between components in any pneumatic system. 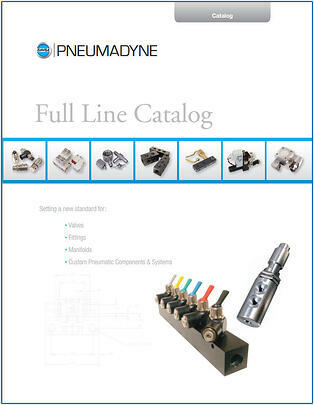 Pneumadyne’s extensive offering of miniature pneumatic fittings accommodates numerous connector and tubing requirements. Providing fluid handling solutions that meet our customers’ defined performance requirements has been a priority since Pneumadyne’s inception, setting us apart in the miniature pneumatics industry. Our experienced engineers welcome the opportunity to assist in the design and manufacture of pneumatic control systems and custom directional control valves fittings manifolds. Whether you need standard pneumatic components or custom pneumatic products, we take the time to understand your application and recommend components and systems that best fit your requirements.